Companies can register online to use the e-Tshwane wayleave management system. The City of Tshwane has launched an online wayleave management system, which has replaced a slow and cumbersome paper-based system. This will significantly simplify and speed up the regulatory process for telecommunication companies wanting to lay fibre-optic infrastructure in the city. 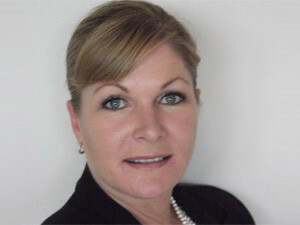 FTTH Council Africa CEO Juanita Clark has welcomed the new system, saying the telecoms industry has been complaining about the slow paper-based systems of local authorities for the granting of wayleave approvals for years. "This should, in theory, result in speedy processing of wayleaves and expedite the rate at which companies can deploy telecommunications infrastructure. In return, it should take an enormous load off the internal resources of the City of Tshwane, while at the same time ensuring efficiency for the private sector." Clark explains that, previously, any company wanting to do civil work had to apply for a wayleave from the respective local authority using a complex paper-based system. "While this may differ slightly between the local authorities, these right of way permissions are complex procedures and contain conditions for doing work in the road reserve which includes pavements. "In the past, there was no set guideline for the issuing of right of way approvals and timescales vary from one application to the next. This has had a big financial implication on the private sector as it is difficult to plan projects or even deliver projects on time." She notes the council has been lobbying for an automated system for quite some time as it believes an automated system is the only way to ensure efficiencies and remove unnecessary red tape. "The increase in productivity should eliminate many of the frustrations felt by operators. All indications are that with this system an approval will be granted within two weeks. Finally, in one metro, the industry can proceed with certainty. We only hope that other metros see the benefits and follow suit." 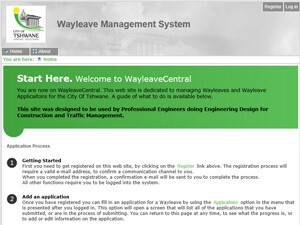 The wayleave application Web site was designed to be used by professional engineers doing engineering design for construction and traffic management. The system requires a company to register online, and then follow a three-step process to submit a wayleave application. The wayleave management system forms part of the new online e-Tshwane Service that was officially launched last week. FTTH Council Africa CEO Juanita Clark says an automated wayleave management system ensures efficiency and removes unnecessary red tape. The service allows home owners, companies, property managing agents and tenants to view, download and make payments for all municipal accounts electronically. Subsequent phases will allow residents to apply for services and check their application status online. According to the official e-Tshwane Facebook page, the service provides a full history of accounts from registration to payments made, as well as the ability to interact with the city in the form of lodging complaints, queries and compliments electronically 24 hours a day. "Customers must register on www.tshwane .gov.za to use the service. Users of the e-Tshwane service will receive e-mail notifications to inform them of new statements issued for their accounts and successful payments made through the site."